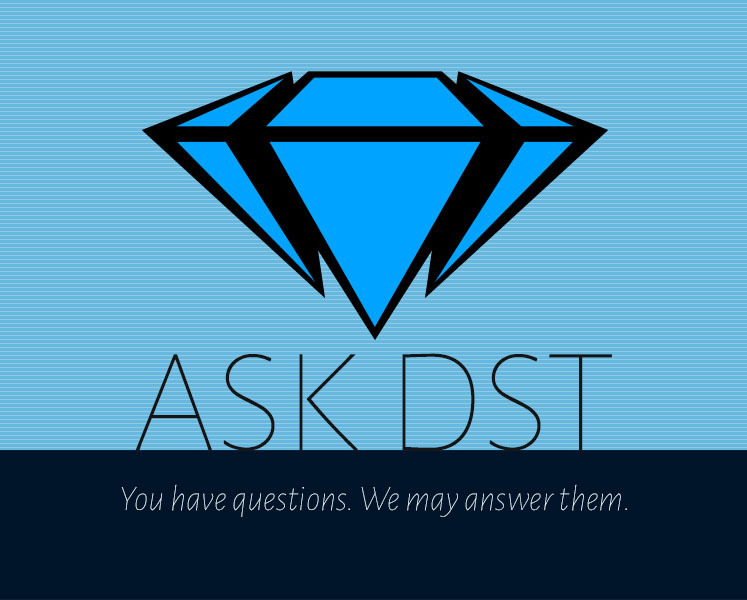 There’s a new Ask DST in town, and her name is Miss Cellaneous! She’s full of widely varied questions, like “Will there be more Batman?” and “Where’s Star Trek?” and “How about Hellboy?” Diamond Select Toys’ local Sheriff DSTChuck is ready to answer those questions, and the answers may surprise and/or shock you! Read on, and if you still have a question at the end, submit it in the drop-down form up top, or e-mail DSTChuck! When I saw your PVC DC/Marvel comic line up I was literally blown away. Amazing detail at an affordable price. Finally, statues a family man can afford. As I’m a Spidey and a Batman fan my question is, will we see more Spidey and Batman characters in the PVC line in the future? And have you ever considered making a comic PVC Hellboy? DSTChuck: I’m a huge Spidey fan as well. We do try to balance the line with the main characters but also others that some fans may want. 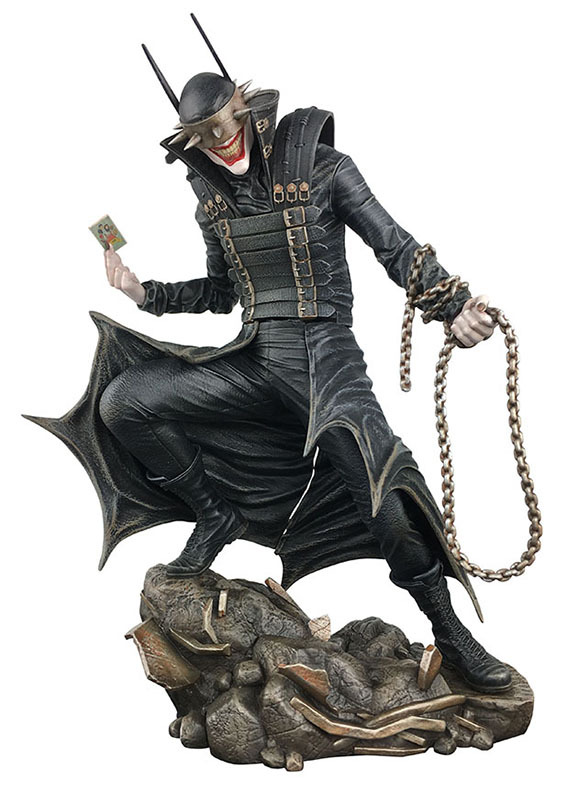 I will tell you we have another Spidey and Batman in development for that line, in addition to supporting characters like Venom, Carnage, Black Cat and Cloak & Dagger for Spidey, and Joker, Catwoman, BAtman Who Laughs, and Nightwing for Batman. What’s going on with the Star Trek: The Next Generation Type II “cobra” phaser? Is it been canceled, or will it be out? When? I heard rumors of not until 2019, and also rumors that it’s been canned. I have a second question: now that McFarlane Toys has the Star Trek license, what does that mean for you guys and your license? Will you still be doing Star Trek toys? 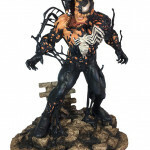 Or is it all going to be McFarlane’s work from here on out? DSTChuck: We have not officially solicited that item yet, but the phaser is still in development. When our factory gives us a working sample, we will put out a solicitation for orders and provide a ship date. For sure, this item has had some development snags. As to your second question, I am not aware of the McFarlane deal impacting us in any way. What about making a Ghostbusters Ghost Trap Bank? It would be cool if it had opening doors somehow… otherwise just leave it shut with the coin slot in the top so it looks like a prop. Would you also consider an exclusive set of glow-in-the-dark The Real Ghostbusters like Kenner did for one series? DSTChuck: We had considered that at one point, and we might have even done art for it, but it’s not in the plans at this time. 1. Will the TOS red and green navigation LED’s be on the correct sides? 2. Will the tampo and registration on the saucer be corrected on the Enterprise-A? If so, put me down for both! Thanks for bringing them back! DSTChuck: I do not know where they are in the development for the reorders. In the past if we’ve been able to make “improvements” we do. I‘m wondering if in the future if you guys will make a Raiders of the Lost Ark Indiana Jones 7 inch figure. 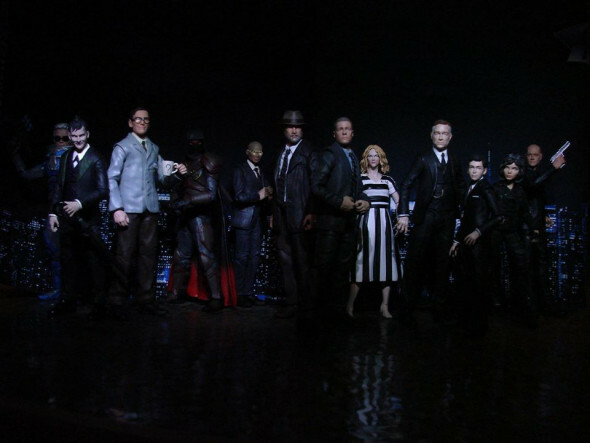 Will you make another Jim Gordon 7-inch figure from season 2 or season 3? DSTChuck: We would love to do more Indy products, but right now the license is not available. 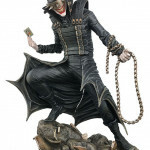 For now, Gotham is on hold, but if demand goes up we’d love to do another series of figures. I really love your Star Trek ship line. Can you give an update on any Star Trek ships in production? The USS Reliant was announced some time ago without any timetable on release. It seems to be stuck in some type of temporal vortex. Is the Star Trek model ship line still viable? DSTChuck: I do not recall the Reliant being officially solicited for orders, but that and another ship are well along in development – if you call development delays a vortex, then YES, that is where they are. Hi, I have two questions concerning the Batman TAS line. First with the busts, I know the line is coming to an end, is there a chance you will release a Mad Hatter bust? With him that would pretty much complete the rouges gallery and would make our collection complete. 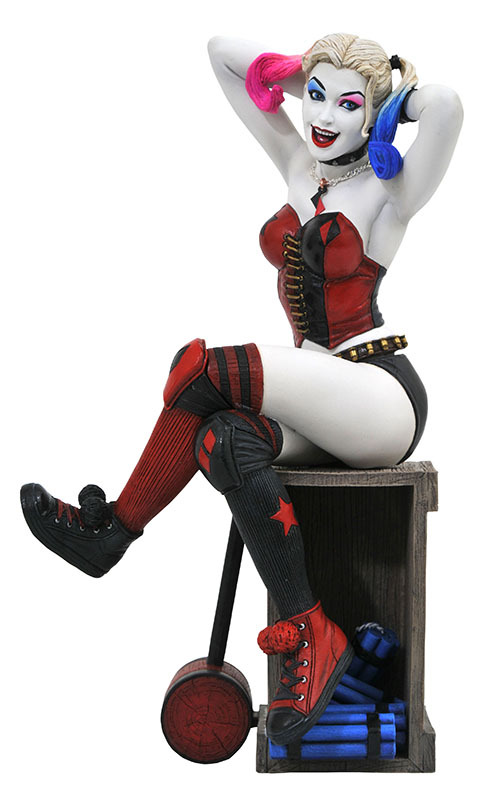 Second, I was looking at videos of the 2018 Toy Fair and didn’t see the Premier Harley’s Holiday statue, do you have a date when it will be released and will this line continue? DSTChuck: Right now we have no plans for the Hatter, BUT I think if these last three TAS pieces do better than we expect, why NOT?! We have had to delay the Harley’s Holiday piece, but for SURE it is still coming out! We are actually re-opening pre-orders this week. Glad you like the animated line – it’s been a dream project! Will there be a re-release of the Excelsior NCC-2000 with corrected nacelles. The initial release was missing the fins on the nacelles though they were on the NX version. DSTChuck: We are constantly in contact with sales to see if there is interest in additional production runs. Hello, I just saw the announcement that Diamond has the Sonic the Hedgehog license. In the announcement I didn’t see anything concerning Select figures. Will you be making Select Sonic Figures? Would they be in a scale similar to the Muppet figures? DSTChuck: Right now, we do not have the rights to action figures, so it’s too early to say what size they will done… but following trend, I’d say yes. Hi, how is the Pulp Fiction Select line doing? Will we still be getting Series 2? DSTChuck: There is still a ways to go to sell out of Series 1, but we are still very hopeful for a Series 2! 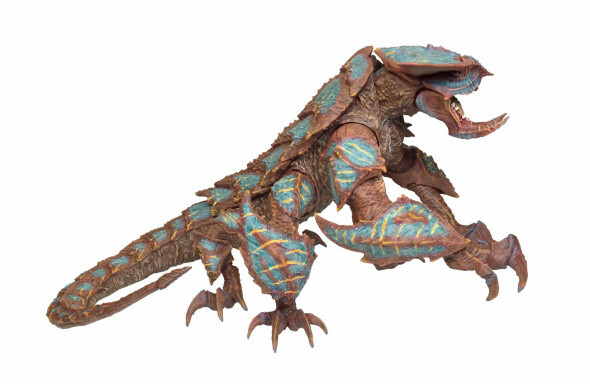 Recently DST revealed a Kaiju figure from the Pacific Rim 2 movie franchise. It’s vinyl and at a more expensive price point than your standard Select figures. If this does well have you considered selling the previously displayed Cthulhu in a similar format? 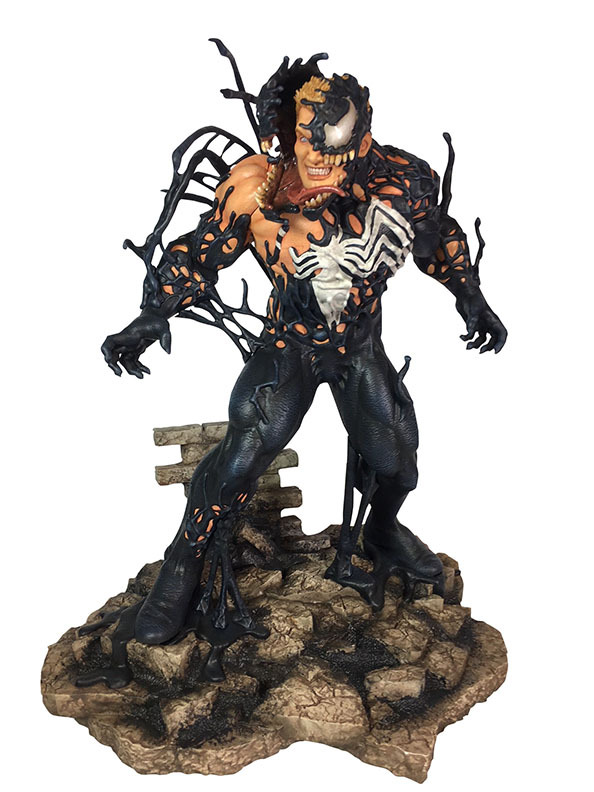 Is that figure still in the works, or should I stop anxiously awaiting it? DSTChuck: The Kaiju is a stand-alone roto figure – it has nothing to do with the Select figure line, Yes, it’s going to end up as a companion piece to the Jaegers, but it’s not the start of a new line. We’ve looked at many ways to produce that Cthulhu figure, but nothing is getting us where we need to be. Will you be doing the ‘Serenity’ ship from Firefly tv series, same size, etc. as the Star Trek line? If not, do please discuss / consider it, as would surely sell well. DSTChuck: I am sorry, but at this time we have no rights to the Firefly TV series. Hello! Very excited to see another Phantasm bust as well as Ra’s al Ghul. I was wondering if there are plans for more full-size PVC statues based on the DCAU Timmverse? Thanks! DSTChuck: We’re taking a break right now from the DCAU, but we have not closed the door to making more, especially if the new busts do well. Please, please, please tell me you’re getting a license for the new Hellboy movie. DSTChuck: That is a license we might be interested in!